Good onboarding is particularly important for contact centres due to high agent turnover being a significant problem within the industry. In their 2016 ‘US Contact Centre Survey’, global consulting firm Mercer found that the highest turnover was among entry-level employees (27%). They also found that larger centres lose most of their new employees within the first six months, with 6.2% of new hires leaving within the first 30 days of employment! Poor knowledge retention has a knock-on effect on the centre as a whole, such as low team morale and poorer customer satisfaction rates. A structured, effective onboarding programme is also important due to the substantial amount of information contact centre employees have to absorb from the get-go. This includes policies and regulations, customer service protocols and day-to-day duties they need to complete. It makes sense to create a dynamic strategy that spans over the course of at least six months, in order to engage new hires and keep them supported in their new role. What should be included in a contact centre onboarding strategy? Firstly, it’s important to organise yourself before introducing a new member of staff to the company – you don’t want to miss out anything important! Devising a checklist beforehand is the best way to ensure consistency when onboarding new employees, especially as contact centres have high agent turnover. Your checklist can be split into various time periods that you think will be pivotal to carry on specific onboarding tasks. For example, steps need to be taken to ensure the new hire has a smooth first day in the contact centre. This might include an allocated desk space, setting up any necessary IT equipment, emails and additional materials sent to them that outline general information about the contact centre, e.g. type of services they offer. A job description and a list of duties is also important, so the employee understands what is expected of them. The checklist can then continue from their first day to their first six months to ensure that their onboarding process is a gradual one – as opposed to one that is rushed in one week! We have created our own onboarding checklist that begins before the new hire’s start date and continuing after their first quarter. Another way to create an engaging onboarding strategy is to make it interactive and people-orientated. New employees will benefit from a tour of the centre, alongside introductory sessions with people from different departments, which will help them understand the operations of the centre. All departments in the centre should be involved with easing the transfer of knowledge and play their own role in onboarding. Senior leadership should be there to give an overview about the company. HR should let agents know about employee guidelines. Team leaders and other team members should help ease new agents into the work culture and their new role. A peer mentor would provide additional guidance, as this is someone the new employee can shadow for a day to understand the different aspects of the role and experience scenarios they could face on their own calls. This also eases integration of new hires into the social culture of the centre, boosting team morale. It goes without saying that starting a new job means having to absorb a lot of information. It’s essential that compulsory training, particularly customer service training, is broken down into digestible learning sessions. Making training bite-sized is vital as it has been found that employees dedicate just 1% of their working week to training and development, but will check their phones at least 150 times a day. This is why an online platform like Wranx is perfect for contact centre training, as online modules can be completed during idle time on agents’ mobiles. Lengthy PowerPoint presentations or training manuals can be converted into bite-sized modules and additional materials can be stored within the platform, like a knowledge base, meaning all employees can access learning resources with ease. Our learning platform proved extremely beneficial to HomeAway – we helped them onboard and get their call reps up to speed with changing company processes and products through our continuous ‘push’ learning. Adding the above elements into an existing onboarding programme will help make it modern and dynamic enough to engage and offer guidance to new staff. Taking preventative action to reduce agent attrition has long-term benefits for the centre as a whole, as more talent is retained and there is less money spent on replacementing employees. 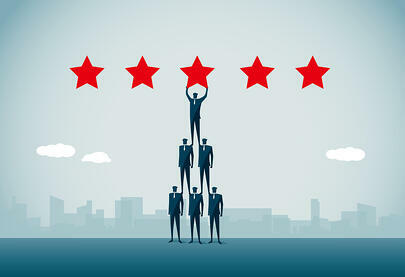 This then translates through employees’ performances because a better working culture and being equipped with the knowledge they need means they are more likely to meet specific KPIs, like average handle time (AHT) and customer satisfaction.